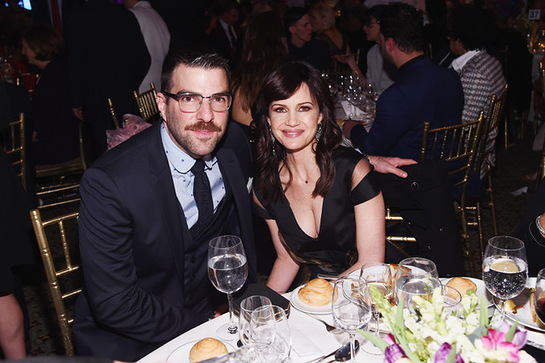 Last week in New York City, GLSEN – the leading education organization focused on ensuring safe and inclusive schools for all students – honored Carla Gugino, Ann Clark, Ryan Pedlow, Roland Park Elementary/Middle School and First Data at the annual GLSEN Respect Awards – New York. 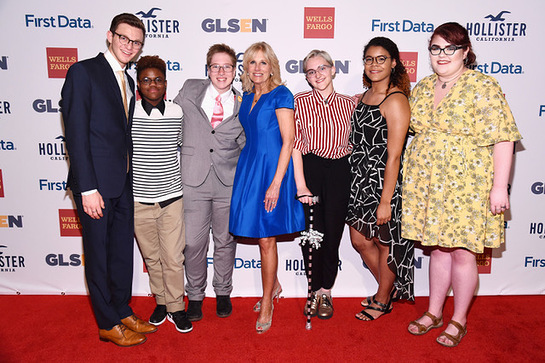 The event which featured opening remarks by Dr. Jill Biden included guests Zachary Quinto, Ariana DeBose, Carmen Carrera, Elliot Sailors, Chely Blitzer-Wright, Kyle Farmery, Andrew Morrison, Agnes “Peppermint” Moore, Jeffrey Marsh, Eric Fanning, 22nd Secretary of the Army and John King, Former Secretary Education. GLSEN is the leading education organization creating safe and inclusive schools for all students. GLSEN envisions a world in which every child learns to respect and accept all people, regardless of sexual orientation, gender identity, or gender expression. GLSEN seeks to develop school climates where difference is valued for the positive contribution it makes to creating a more vibrant and diverse community. For information on GLSEN’s research, educational resources, public policy advocacy, student organizing programs, and educator training initiatives, visit www.glsen.org.